Our classic Gold/Black Texas pins are officially sold out but this brand new beauty arrived just in time! 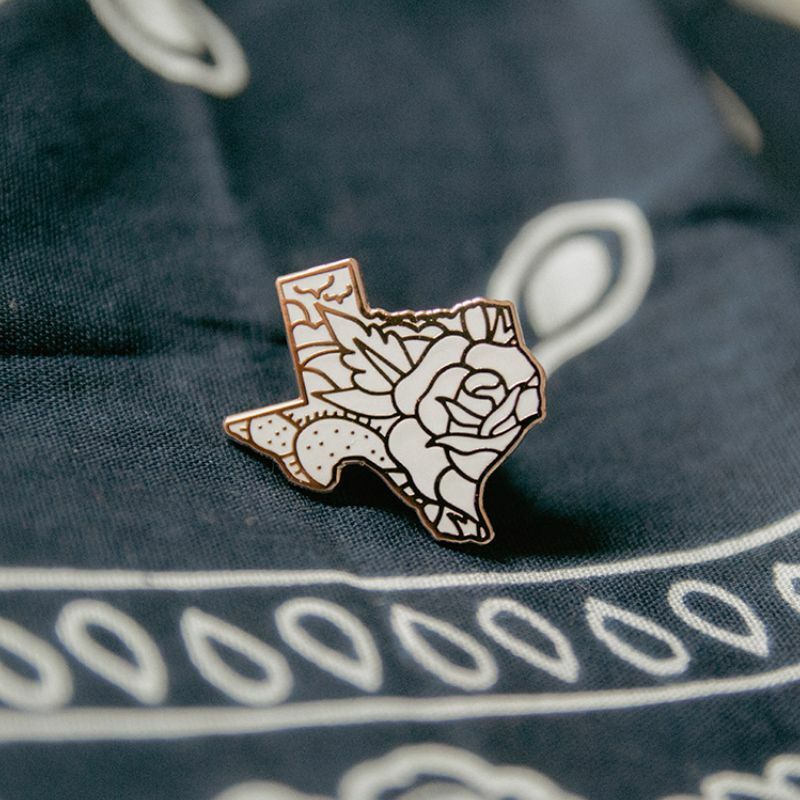 The Rose Gold & White Texas pin is the perfect new addition to your collection of Texas things! This pretty little pin goes great on any jacket or on your FT Pin Saver. This is a great gift for your favorite Texas, even if that Texan is you. Get yours by hitting the button below! Don't miss out on this exclusive new color!